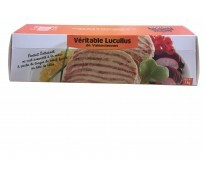 Lucullus is named after a great Roman general renowned for his sumptuous feasts and his many culinary innovations. Nevertheless it is to a Valenciennes restaurateur Mr Edmond Laudoar that we owe the creation of the Veritable Lucullus de Valenciennes. 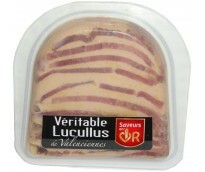 His unique recipe has been preserved and since 1960 has been exclusively used by our company Lucullus. 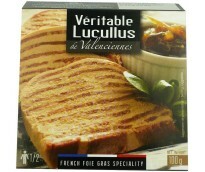 The Veritable Lucullus de Valenciennes is a true original French culinary speciality uniquely blending the delicate tate of Foie gras with the robustness of Beef Tongue.Its visual impact when served on toast with salad and a little touch of confit truly adds to the whole gourmet experience. 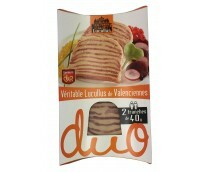 The product has been awarded with the prestiguos Saveur en Or mark as a further guarantee of its provenance and quality. 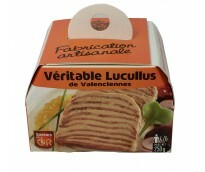 SINGLE SERVE TERRINE - A Gourmet Moment - An affordable Luxury. Lucullus 40g: this is for you. 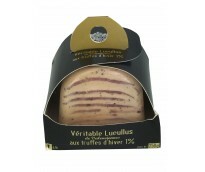 Simply serve on toast with salad and for an extra delicacy add a little confit. 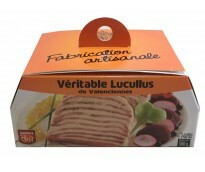 Available in French Supermarkets or directly from our store. 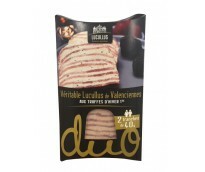 TWIN SERVING TERRINE - This twin pack is ideal for a romantic dinner or special meal. Simply serve with toast and a little confit or salad - it's ready in minutes. Prepared very quickly! Available in French supermarkets or from our store.